After gaining approval for Centipede and Lake Way in 2013, Toro Energy opted to submit another environmental scoping document so as to expand the uranium mine in October 2014. The company looks to expand into two more deposits, Millipede and Lake Maitland. Robin Chapple expressed disdain for the new assessment as it is being considered as an extension rather than a new environmental study unto itself. Furthermore, Toro Energy have not properly consulted with the Traditional owners for the Lake Maitland area who have significant, and warranted, concerns about the proposed mine's impact. The assessment process is expected to take up to 2 years. Toro hasn't started mining yet but production is expected to commence in late 2015. 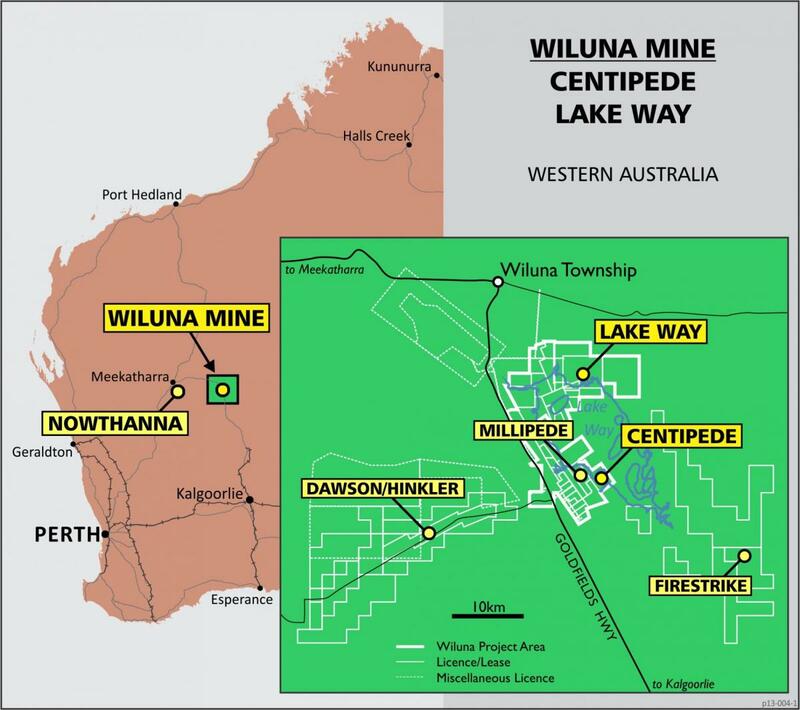 The $269million development project is located 30km south of Wiluna in central WA. Toro’s proposal consists of the open-pit mining of the Centipede and Lake Way uranium deposits, producing around 1200 tonnes of uranium oxide concentrate each year over a life of 14 years. The estimated resource is 53.6mlbs U3O8 in calcrete rock. State approval has been received and the Federal Government approved the project in April 2013. Around 350 jobs are expected to be created during construction phase and 170 people are planned to operate the mine. The project plans to use 35 million tonnes of groundwater over the proposed 14 year life of the mine (based on 2.5 GL per year) and backfill the tailings in the mine pit as the mine advances. In the last submission to the EPA regarding the project the Greens requested a full public inquiry under the Section 42 of the Environmental Protection Act 1986 into the wider environmental and public health consequences of commercial uranium mining in Western Australia. This project raises additional concerns due to the deposit being calcrete ores. There is significant lack of expertise and experience in engineering and mine design for a calcrete deposit. Due to the high limestone content of calcrete soils and rocks, conventional acid-based processing is not viable and it is necessary to use alkaline chemicals to dissolve and extract the uranium. This means a larger process plant, more difficult ore processing, and more energy, water and pollution emissions. For comparison, the Langer Heinrich mine in Namibia– the only other calcrete deposit uranium mine - has had numerous start-up problems with its processing plant, and has consistently failed to meet design production targets – a fact Paladin has effectively masked by constantly ‘expanding’ the processing plant to address the major technical problems and increase annual production. This type of deposit should be examined more closely for potential risks to the environment and human health specific to the nature of calcrete. The company has multiple targets on numerous tenements across the north-eastern goldfields, and most likely intends to process widely distributed satellite ore bodies at the mill. The Greens continue to oppose this project.